The interconnected dimension of handtools. 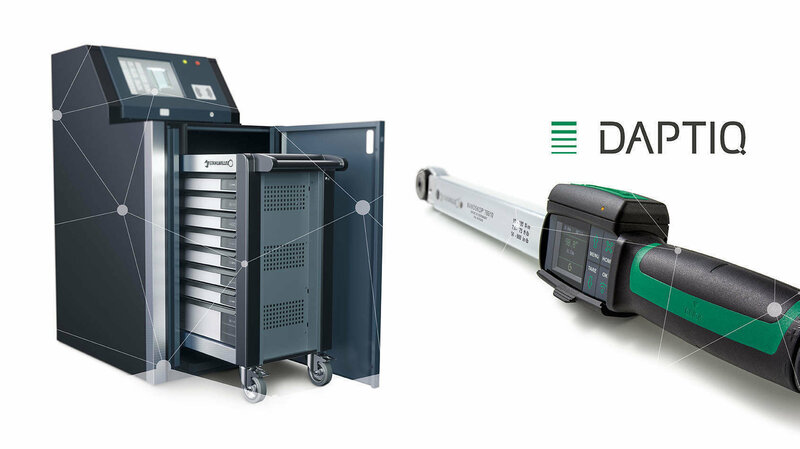 STAHLWILLE’s DAPTIQ is leading the way: DAPTIQ products can not only communicate with other DAPTIQ products, they also communicate with the controlling and monitoring systems in their specified work environment. As one of the very first tool manufacturers in Europe, STAHLWILLE realised how important controlled tightening was and applied itself to developing sophisticated, ground-breaking solutions in the field of torquing technology..
Our uncompromising customer focus, skilled consultancy services and innovative ideas have made STAHLWILLE a highly appreciated innovative partner in the field of torque applications. Leading industrial enterprises place their confidence in STAHLWILLE's capabilities. During work, every action has to be an accurate one and tidiness and discipline are the key to efficiency and safety. To ensure that every tool is always stored where you expect to find it, there are the Tool Control System (TCS) tool inlays. They provide excellent protection, easy removal and enhanced safety – a quick glance at the tray shows the user instantly if everything is where it should be. 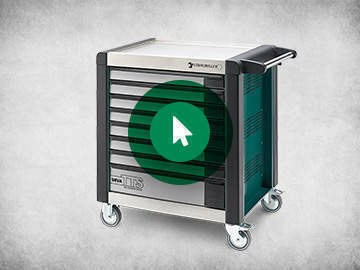 STAHLWILLE Tool Trolleys are the ultimate in terms of tool storage. Their sturdy, high-grade construction protects the tools during everyday work in tough workshop environments while ensuring excellent mobility and safety in the workplace. At the same time, the system provides considerable freedom for personalisation. Together with you we compile your own preferred Tool Trolley configuration. Configure the drawers, the equipment needed, colour and many other features and accessories. STAHLWILLE - POLSKA Sp. z o.o. Bilginoglu Endüstri Malzemeleri Sanayi ve Ticaret A.S.
Corporate Headquarters/East Coast Distribution Transcat, Inc.
West Coast Distribution Transcat, Inc. Sing Huat Hardware & Machinery Pte Ltd.
Topcast Aviation Supplies Co. Ltd.